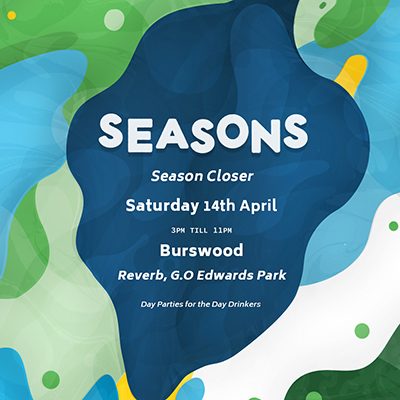 Taking full advantage of the last summer moments, we are heading to Burswood for our final party of the Season. Amongst the trees and beautiful lakes of G.O Edwards Park, this custom pop-up venue is located only 200m away from the Crown Entertainment Complex. Food & Drink: A variety of beverages and eats served from bars, food trucks and grills will be available. Venue: G.O Edwards park, Burswood. (Reverb).